In order to create a truly prepared community, MIT Emergency Management provides, or assists with, a vast array of services that can be applied before, during, and after an emergency. These services encompass all appropriate stakeholders including individuals; departments, labs, and centers; and the Institute as a whole. To learn more about our preparedness efforts and services, click on the appropriate link on this page or complete this form. 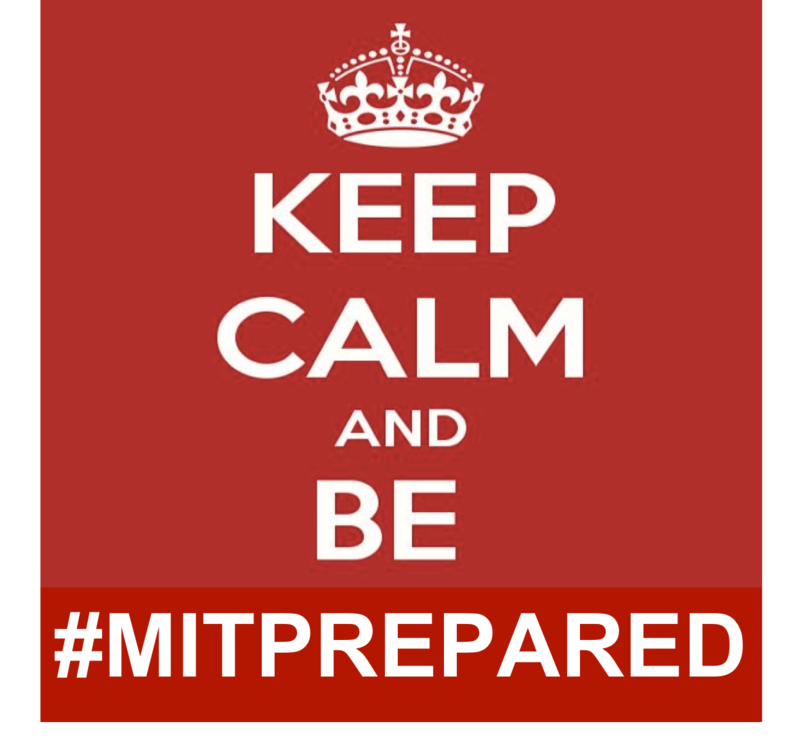 If you are an MIT community member, visit this page or choose an option below, to learn more about preparing yourself and your family. Visit this page if you would like to learn more about preparedness for your DLC. Visit this page to learn more about how we prepare MIT for emergencies and disasters.